If you suffer from constant pain in your back, hips, neck or knees, it may be time to see an orthopedic specialist at Texoma Medical Center. Orthopedists offer a comprehensive range of services for the diagnosis and treatment of acute and chronic problems of joints and bones. Treatment plans can include non-surgical options, such as rehabilitation, exercise or other therapies, to relieve pain and increase function. If surgery is needed, orthopedic surgeons use minimally invasive techniques, which require only small incisions, when possible to reduce hospital stays and recovery times. Texoma Medical Center has earned The Joint Commission's Gold Seal of Approval for Hip and Knee Joint Replacement. In anterior hip replacement surgery, the surgeon makes a tiny incision at the front of the hip that leaves muscles intact. This results in minimal scarring, often fewer complications, usually a shorter hospital stay and often a more rapid return to daily activities. Surgeons typically perform total knee replacement surgery when a person has a severe degenerative joint disorder, such as osteoarthritis, in which the moving surfaces of the knee deteriorate. That deterioration leads to severe pain, limitation or loss of function and/or deformity of the joint. Surgery may also be performed to replace a badly fractured knee, or when previous joint replacements have failed. Bilateral replacement is when surgeons replace both knees at the same time. In partial knee replacement surgery, surgeons remove damaged tissue and bone from the knee joint and replace the area with an artificial implant. 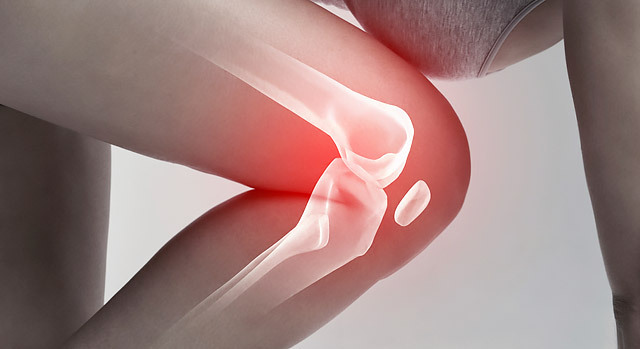 Partial knee replacements are performed on either the inside or outside of the knee. Sports Medicine is a combined effort between orthopedic, neurological and rehabilitation specialists who offer comprehensive care to address conditions or trauma involving the musculoskeletal system resulting from a sports injury, accident, overuse, fall or other condition. We offer physical therapy in the inpatient and outpatient setting through TMC's Rehabilitation program. Care is provided to patients of all ages and incorporates a multidisciplinary, personalized approach. If you need a referral to an orthopedic specialist or other physician at Texoma Medical Center, call our free physician referral service at 1-903-416-3627.